Exercise of the Week: February 22nd | Are You Being Real? Stop three times a day for one minute and look for the good around you in your life. 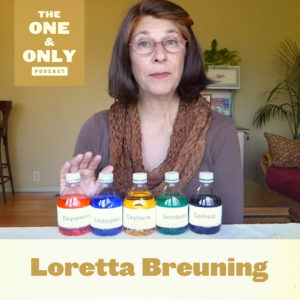 This is the exercise of the week from Inner Mammal Institute founder, Dr. Loretta Breuning, and this week’s guest on The One & Only Podcast. It’s an opportunity to turn off your auto-pilot, and to give yourself a break – while also embracing the present moment (taking in your surrounding environment), and practicing gratitude. Whether this is already part of your current practice, you do it normally albeit subconsciously, or if its new for you, give it a shot and experience both what its like in the moment and how it impacts your daily flow, energy, and emotions. Let us know how it goes in the comments section. For more from Dr. Breuning, learn how we as humans can better understand or actions & behaviors, and better manage them for a happier life.